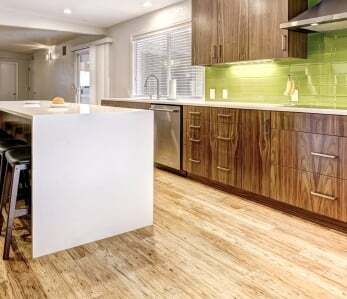 Home › Flooring › Does Bamboo Flooring Warp? 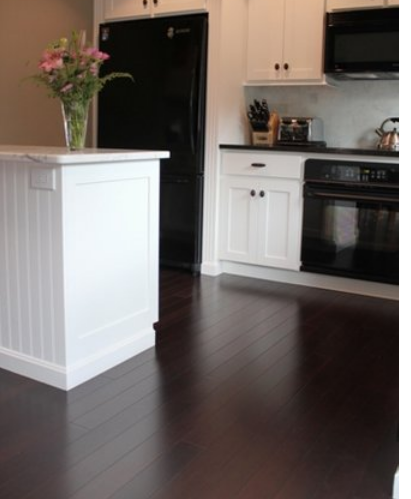 Bamboo floors have become very popular in recent years as an alternative to traditional hardwood floors. Not only are they uniquely beautiful and environmentally-friendly, they are also more affordable than hardwoods and quite durable as well. But, like all flooring materials, they are susceptible to certain kinds of damage. All wood floors will buckle or cup if the installation environment is not maintained properly. 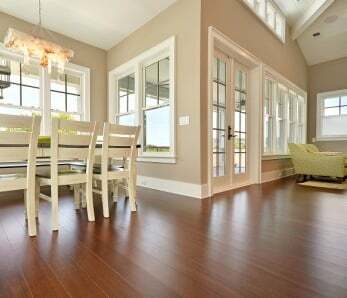 Most high quality bamboo floors require a minimum 72 hour acclimation period. This simply means to stack the cases of bamboo planks in the room they will be installed, open them properly to let them breathe, and allow the moisture level in the bamboo to stabilize to the humidity level of the room before actually laying them down and affixing them. The boxes need to be cut open lengthwise including any interior plastic to allow the floors to breathe. Many homeowners who install their bamboo floors in a weekend DIY project forgo this step, and the result is floors that eventually warp. Always do your homework when purchasing such an important part of your renovation project. Also, be wary – don’t assume that just because the price is higher that you’re getting a high quality floor. There are many known reasons for , and selecting a high quality brand is on the list. It is equally important to properly prep the substrate on which your new bamboo floors will be installed. This is especially critical when installing over a concrete subfloor where moisture can be a problem. If you have a crawl space, remember that it is considered part of the building envelope and thus it must be sealed and ventilated, otherwise the moisture rising up through the crawl space will buckle the flooring. 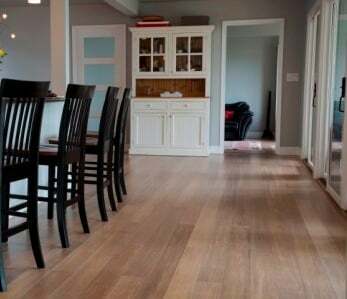 Always follow the manufacturer’s standards and recommendations when preparing the substrate and sub-floors in order to avoid bamboo floors that warp. Many homeowners who install their themselves run into trouble when it is time to adhere the planks to the subfloors. They either use the wrong adhesive, or use too much or too little. Or, sometimes, they may not allow the adhesive to cure properly before or during the installation causing moisture to seep into the bamboo planks. If you’re gluing down to concrete, you’ll want to make 100% sure to use a , and make sure to use the correct trowel for that glue. Not following the adhesive’s directions carefully and accurately is another reason bamboo floors warp. 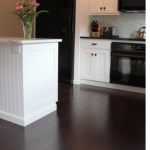 Like when installing a hardwood floor, it is important that enough space (expansion gap of 1/4 to 1/2 inch) is maintained around the perimeter walls and other vertical surfaces (like kitchen islands). If the manufacturer’s recommended expansion space is not followed, the bamboo planks will not have enough room to expand and will buckle. When liquids spill on your bamboo floors, wipe them up immediately. Failure to do so allows the bamboo to absorb the liquid and will eventually cause warping. It is also important to note that you should never use a steam cleaner on bamboo as these machines expose your bamboo planks to too much moisture leading to the dreaded warping. Lastly, it is very important to maintain the humidity level in your home per the manufacturer’s directions. 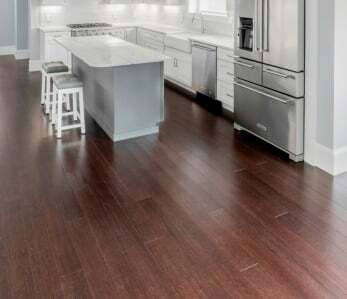 A room that is too humid or too dry will wreak havoc on your floors causing excessive expansion and contraction which will eventually cause warping and buckling. Although you can’t control the humidity outside, you can easily do so inside with the help of humidifiers in the drier winter months and dehumidifiers in the sticky summer months. Knowing the you are purchasing can go a long way to avoiding these types of issues as well. 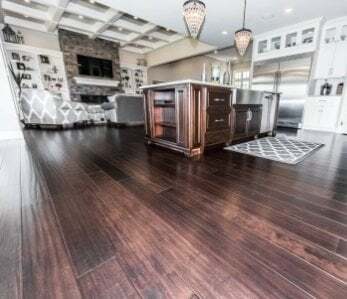 Bamboo floors are absolutely gorgeous and durable, but to ensure they look as lovely as the day you installed them and last for many years, it’s important you install and maintain them properly.